It seems the holiday season is beginning earlier every year! But don’t fret. Once again we have done our annual research to find the most interesting gifts for the cocktail, beer, and wine aficionados in your life. David Wondrich Punch Bowl - $74.99 or $39.99: Punch is an incredible addition to any party. It is a delightful centerpiece of conversation and a great way to welcome guests as they step in out of the cold. Cocktail historian and writer David Wondrich has created a set of accessories with Cocktail Kingdom that anyone with a home bar and a love of entertaining needs. The bowl is the pièce de résistance, but the collection offers a ladle and glasses to complete the look. Champagne Sabre - $66.99: Gifts are supposed to be fun. New Year’s Eve is coming up, which means that Champagne is going to be flowing. Another exceptionally cool gift this year from Cocktail Kingdom is the Champagne Sabre in the Jeffrey Morgenthaler collection. It is a much more dynamic way to open a bottle of Champagne, so make sure you are doing it safely. Fortunately, there are YouTube videos that can help you with your technique. Definitely a conversation starter! Joule Sous Vide - $199: Sous vide, French for “under vacuum”, has been slowly creeping into home kitchens over the past few years. The cost of the equipment has come down and is much more compact. Joule is a wonderful, easy example of one of these machines. Small, Bluetooth connected and easy to use, it will give your infusions more intensity because nothing is lost. You can read more about what sous vide can do for your cocktails in this article by Amanda Schuster. Vin Garde Valise Grande - $299: Do you know a serious wine collector? One that travels the world and brings back incredible wines? The Vin Garde Valise is one way to encourage them to bring back more. Made from polycarbonate and TSA and FAA approved, this case holds twelve 750 mL bottles of either wine or spirits. Vin Garde offers other inserts for larger bottles and glasses they can use in the suitcase as well. Bulleit Carry On Cocktails - $24: Flying, especially around the holidays, is no fun for anyone. 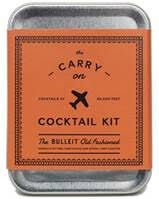 Knowing this, the good people at Bulleit have joined in on the fine tradition of the carry on cocktail kit. Teaming with the experts at W & P, they have developed two kits for weary traveller: the classic Old Fashioned and the BLT (Bulleit, Lemon, and Tonic). You get your carrier to supply the Bulleit, and you have the perfect sip to make your journey that much smoother. Or stuff in in a stocking for a family member. Also, should you need some additional travel-friendly cocktail inspiration, check out Road Soda by Kara Newman, all about making cocktails while traveling! Sake Social - (price varies): Sake has been around for centuries, but it is just starting to come into its own in the United States. Good sake is not always easy to find. If you are lucky enough to find some, which one do you get? Fortunately, Sake Social is here to help. One of their goals is to “help consumers find what sake brew(s) best suit their palate” and make sure they have it. They offer beginner kits, educational forums, and a sake of the month to find the right pairing for you. There are even a few deals they will be offering exclusively on Black Friday for the sake enthusiast, or sake acolyte, in your life. 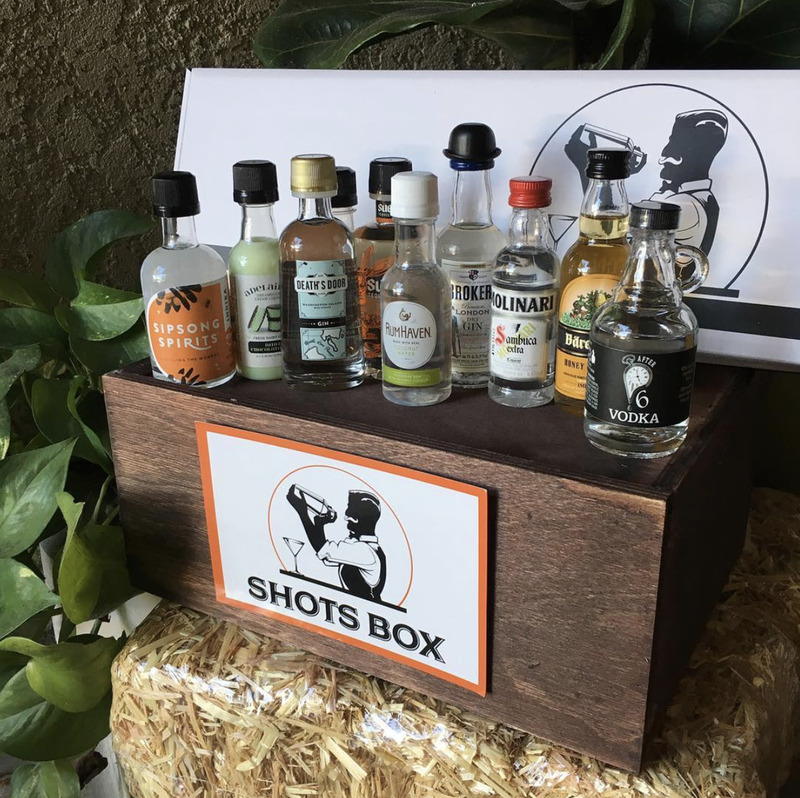 Shots Box - $39.99: The number of new craft spirits that are becoming available are starting to match the numbers of craft beer. Unlike beer, however, it can be an expensive long journey to try all of them until you find what your loved ones enjoy. Shots Box can help. Sending the cocktail or spirits aficionado in your life ten mini bottles a month for them to try is a gift that keeps giving. When they find one they enjoy, they can go to the site and order a full bottle of it. Or just keep experimenting with some of the best craft liquors in the country. Humphrey Slocombe Ice Creams: $89 for six pints - One of the top rated ice cream shops can be shipped all over the country! You can order their pre-selected six pack, or choose your own six pack from their menu. They have a history of using wine and spirits in ice cream, from their 2017 Rosé All Day to the popular, bourbon infused Secret Breakfast. Starting December 3, they will be offering their new flavor, Cherry Fizz. This new addition is made with Domaine Carneros’ Brut Vintage Cuvée, brandy, Amarena cherries and orange zest. Book Flask Holder - $56: I carry a book everywhere I go. With this gift, I may encourage more of my friends to carry a book as well. This innocent looking book contains a magnificent secret; there is a compartment for holding a flask. They will be able to carry spirits and cocktails with them everywhere they go in a book they will most certainly enjoy for years to come. 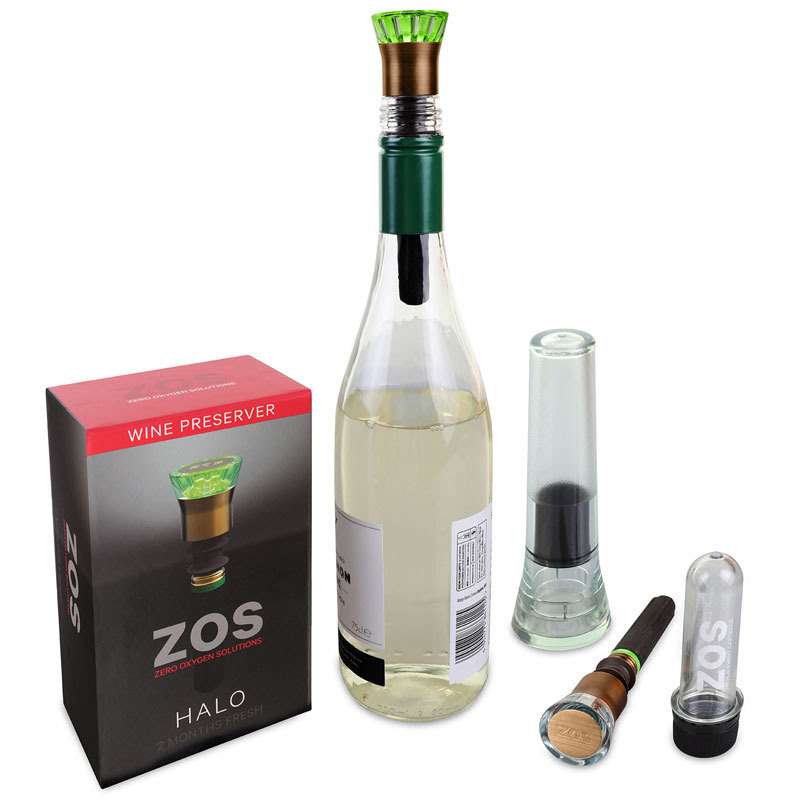 ZOS Wine Saver Kit - $59.95: Preserving bottles of wine, especially favorite ones, is a struggle that every oenophile goes through. ZOS has developed a wine stopper that pulls the oxygen out of the bottle and helps preserve the wine. The stopper lasts for up to two months, protecting up to fifteen bottles of wine per cartridge. There is a tester that comes with the stopper, ensuring that the stopper is doing its job. It is an amazing gift for the wine lover, or a great tool for all the bottles of wine you will be enjoying through the holiday season. Pot Still Decanter - $45: There is something to be said about a good looking decanter. The right decanter can be a conversational piece as well as a vessel for good spirits. This pot still decanter is hand blown and pays tribute to where many liquors are born. While you are at Urban Bar, you can take a look at some of their other glassware and bar tools to enhance your home bar. Dugout Mugs - $59.99: Baseball season is still a few months away, but now is a good time to start getting the fans in your life ready fo the season. Dugout Mugs have broken down the baseball bat and ball, turning into a variety of drinking vessels and tools for your home bar. They have barrel mugs from all the teams in MLB, shot glasses made from the handles, and bottle openers made from a baseball split in half. They have not forgotten the wine drinkers, offering a customizable wooden wine glass. Floral Elixir Syrups - $29: One group of flavors that does not hit cocktails as much as often as it could are floral ones, especially in the off season. With this set of five low sugar syrups, you can encourage the mixologists in your life to start experimenting with them, even in the dead of winter! Cool wine stain? 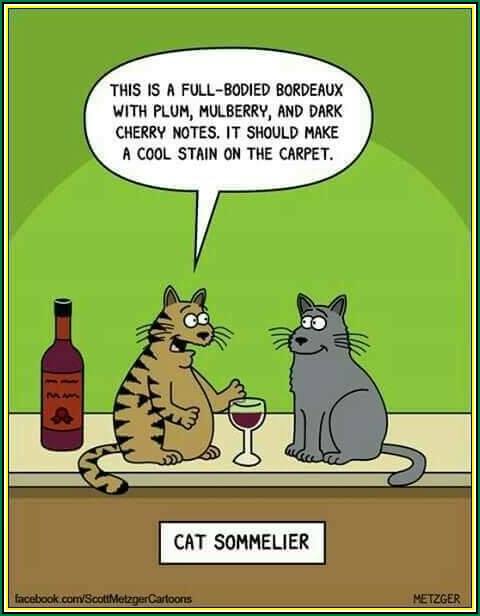 Use the Chateau Wine Stain Remover! Chateau Red Wine Stain Remover - $7.95: Parties can be dangerous for fabric. While most other beverages can be removed with some effort, there is one drink that can leave a lasting mark: red wine. Giving Chateau Red Wine Stain Remover as a small gift to wine lovers is a gift they can appreciate all year round. It does not stop at wine, either. Reviews say it has removed lipstick, fruit juice, and even ink from fabrics. Can’d Aid - (price varies): We have seen an uptick in the number of natural disasters over the last few years. Flooding in two small Colorado towns inspired the creation of Can’d Aid, a group that rebuilds communities struck by disaster through providing instruments, bicycles, and canned water. What can be a more generous gift than making a donation in someone’s name? They even have a convenient list of denominations on the page to show what your money can help fund. Bars are community. It’s the best time of year to bond with your local, and especially when that can also make a difference in someone else’s life. Some bars, such as Leyenda in Brooklyn, feature a special charitable menu or drink option (In Leyenda’s instance, “Sleyenda,” with $1 of every cocktail sold going to women’s charities such as Global Fund for Women), available through New Year’s. Bars also participate in clothing and food drives and other charitable efforts. If you’re concerned about the California wildfires, consider donating to real, on-the-ground charities who are working toward the immediate needs of those affected. You can find a variety of links to these efforts here. For the beer lover in your life, consider supporting these non-profit breweries which operate for charitable cause, and Berkeley, California’s Trumer Brewery, which recently donated $100,000 to fund Sierra Camp Fire relief efforts. All of this gear is decorative without some fine spirits. You can find the spirits to use with these lovely items in any of the International Beverage Competitions being held around the world. From the New York International Spirits Competition to the Melbourne International Wine Competition to the Berlin International Beer Competition, there is something there for everyone. Once you have completed your shopping, you can even open a bottle for yourself and relax, basking in the warm glow of email confirmations for your orders. Also, if you do not see something you really want on the list, you can consult the 2014 gift guide, 2015 gift guide, 2016 gift guide and 2017 gift guides for further inspiration. Here’s to a happy and merry season!